Funk it up like Fosse! 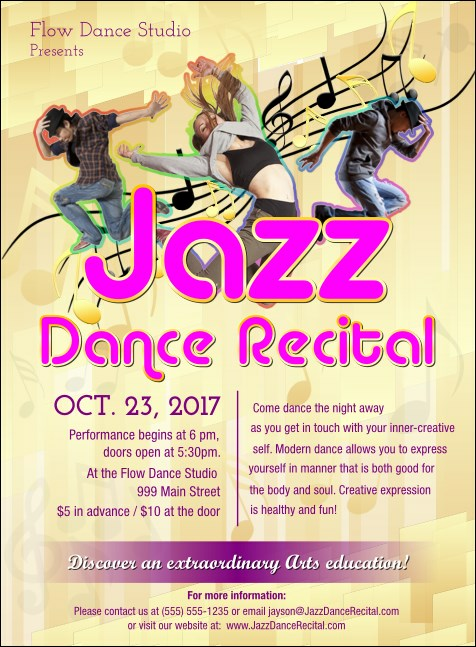 Sizzling with color and movement, the Jazz Dance Invitation is perfect for welcoming guests to the season’s biggest performance. Laid out in fuchsia and deep purple, your show’s details shine atop this design’s golden background. Tailor it to your needs in minutes - we’ll print on the card stock of your choice and ship. Size approximates: 4.14" by 5.63"
Pack the house when you send out custom printed invitations! Shop bunches of themes on TicketPrinting.com.